The LCC office is located in downtown San Jose, volunteers are needed for the health education program. Volunteers will assist in outreach to the community through tabling events and using our bingo style education for community education. The Health Education program has three main topics Breast Cancer, Cervical Cancer, and the HPV vaccine. 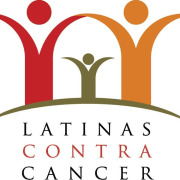 Volunteers are critical to Latinas Contra Cancer day-to-day work, Spanish and English are constantly used in the LCC office and in our community events. We are grateful for the incredible support that our volunteers provide. By volunteering you enable LCC to educate, navigate, and support our underserved population.